specialized in work of stratification of small boats in composite glass - resin (CVR). 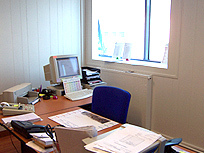 In 1963, the creation of the trade of floor coverings and walls bring more to the company. Then, our activity specializes in heat insulation, the insulation and floor covering in the 70's.. The company takes its rise with the ACN of Nantes, with building site DUBIGEON of Nantes, the DCN of Lorient, Brest, with the SFCN of Villeneuve-La-Garenne and the CHANTIERS DE L'ATLANTIQUE in Saint Nazaire. 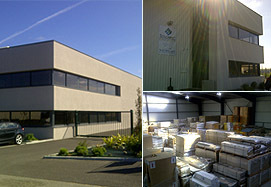 NAVIPLAST MARINE INDUSTRIE,SARL with the capital of 1 500 000 Francs..
and approximately 3 100 m² of warehouses..